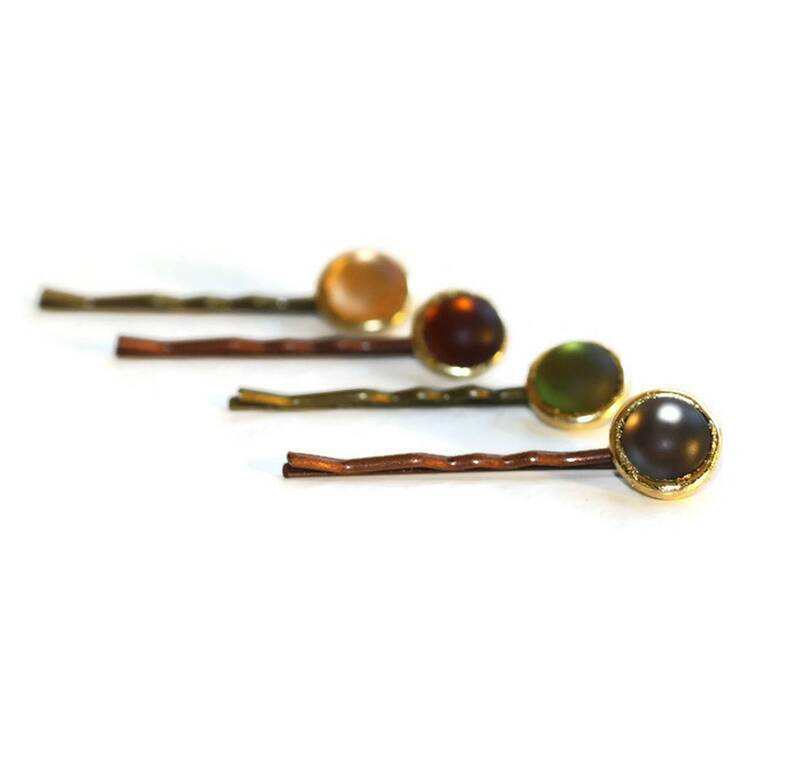 Fall Colors, Frosted matte acrylic cabuchons, set in 14kt gold leaf on burnished metal hair pins. 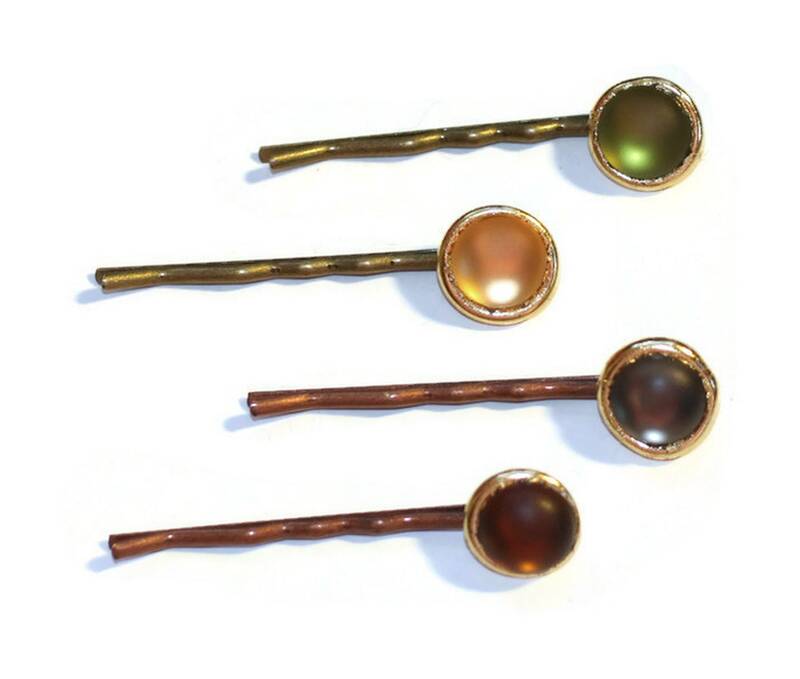 These Bobbies are great for updos, side bangs and to add just a touch of color to any hairstyle. 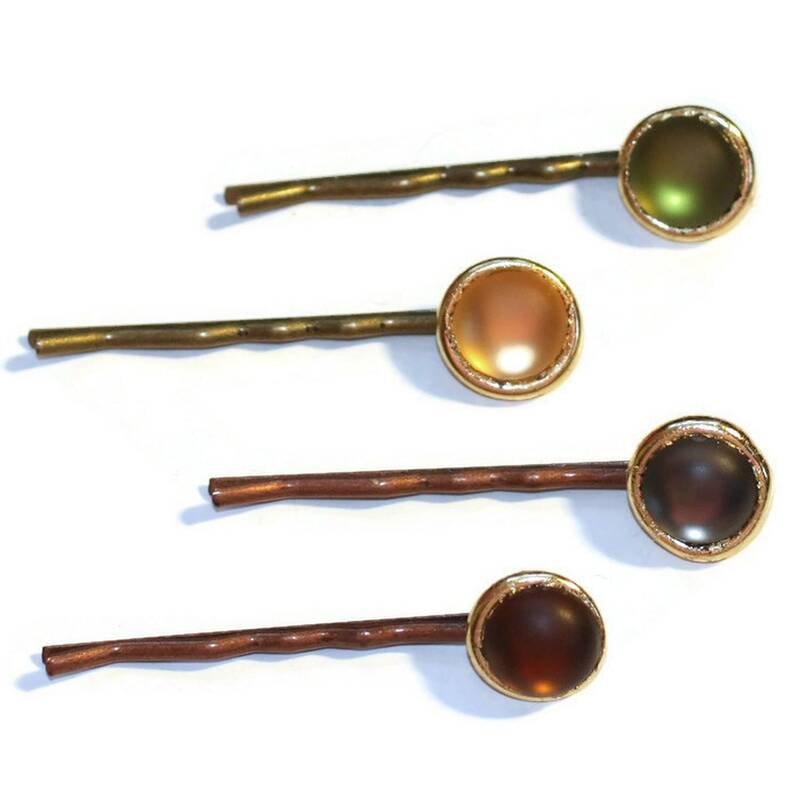 Lovely hair pins, made a great gift!